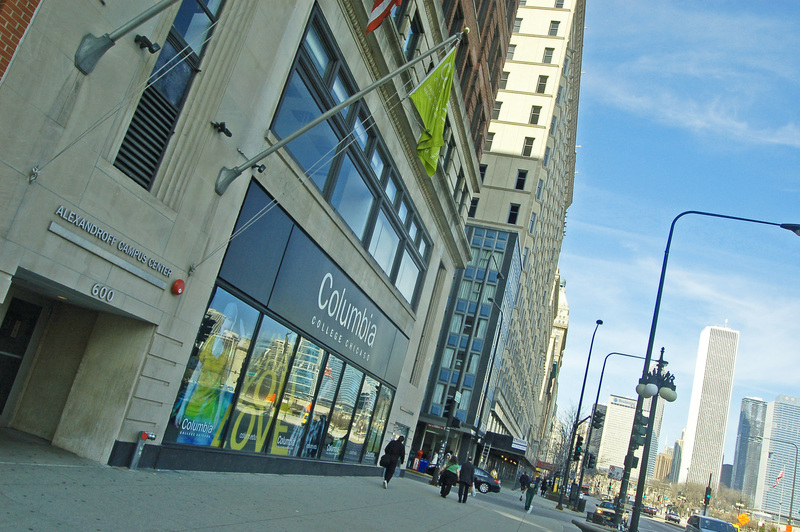 Friday afternoon, I arrive at a Columbia College Chicago building on South Michigan Avenue to talk with Fiction Writing Department Chair Dr. Randall Albers. Dressed elegantly in jeans and a French blue shirt with black stripes covered with a brown corduroy blazer, Albers’ height and distinguished presence make him slightly intimidating. Yet he smiles and greets me warmly, ushering me into his spacious office with a killer twelfth-floor view of the lake, and floor-to-ceiling bookshelves. Although he’s technically on sabbatical, Albers frequents the department often to attend to students. We have about an hour to chat before his meeting with a thesis student. We roll into a relaxed, hour-long discussion about two main topics: Columbia’s ongoing prioritization process and the recent decision by the School of Fine & Performing Arts not to renew Albers’ position as chair of the fiction writing department. Throughout our talk, Albers is attentive and articulate, thoughtful, and gracious. Walking me out, he gives me a copy of Hair Trigger, the thick award-winning journal published by his department. A female thesis student awaits their meeting. Something in this picture seems out of place. Albers seems like a doting mentor, not a man who would be asked to give up his job. Chair of the fiction writing department for sixteen years, and a teacher at Columbia for thirty-four years, Albers has played a key role in supporting the community of writers within the department as well as in the Chicago community. 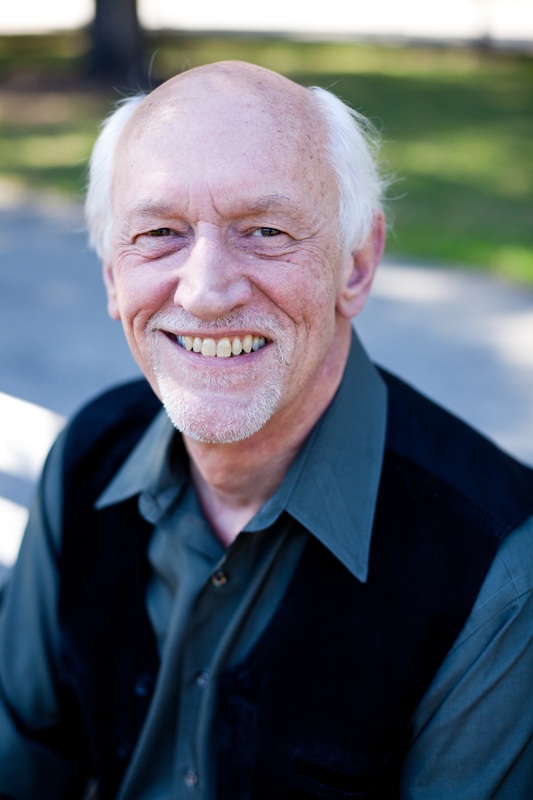 In 1996, he created Story Week, a weeklong writing festival that has hosted Salman Rushdie, Junot Diaz, Irvine Welsh, the late Hubert Selby Jr. and Studs Terkel among others. Albers also elevated Columbia’s international presence by developing the Bath Spa International Student Exchange Program and the Prague Study Abroad Program. “He’s always been a strong supporter of ideas, and he pushes you to the level you need to take,” explains Patricia McNair, current acting fiction writing chair and associate professor. “It’s the support he gives that allows us to work at our best,” she adds. Because of Albers’ stellar reputation, it came as a shock to the students and faculty in the Department of Fiction Writing when on February 24, Albers received a letter from the dean of the School of Fine & Performing Arts informing him that his position as chair would not be renewed. (Dr. Kenneth Daley, chair of the English Department, was also not renewed.) “Just about everybody in the department feels there is something to be up in arms about,” says John Schultz, Albers’ predecessor and creator of the fiction writing program at Columbia. In the letter, Dean Eliza Nichols stated that the decision was not performance-based. Nichols declared that Albers’ accomplishments are “beyond counting.” And since a reason for the refusal to renew Albers’ position has not been given, students and part-time faculty from the fiction writing department organized an online protest at albersforchair.org, and have gathered at various meetings and rallies. I get to what seems to be the heart of the matter. Does Albers agree with the protesters rallying behind him, i.e., that more and more institutions of learning—from grade schools to colleges—are focused on business rather than education? “There’s no short answer to that,” says Albers. “Just like any other business, we have to pay attention to the business end of things and stay viable,” he says. Albers points out that these days, education is dependent on a variety of forces that are always shifting: the number of prospective students reaching application age, things going on in Congress and things going on with the city in terms of building codes,which effects capacity resources. “All of these things are moving targets; you have to stay viable,” Albers says. Then why would Albers be the target of efforts to stay viable? According to McNair, fiction writing is always among the college’s top departments for student retention and graduation. And Albers’ reputation is as topnotch outside of the department as it is within. “I have only heard good things from students, teachers and alumni about Albers as a teacher and administrator,” says Dr. Louis Silverstein, distinguished professor of humanities at Columbia. “Why Randy has been asked to leave is a mystery,” he adds. Part of the indignation stems from Columbia’s prioritization evaluation, which was led by author and higher education authority Dr. Robert C. Dickeson’s consulting firm Academic Strategy Partners. It was last spring, Albers says, that talks began about Columbia initiating a prioritization program. “It’s a process that, one, proves through educational pathways what’s wrong, and two, makes sure that resources are getting used effectively and efficiently in the right places,” he explains. By fall, prioritization was underway, with two committees formed, one to look at operations and the other to look at the academic side. All faculty and staff members were required to fill out program-information-request forms that justified why their work is important on campus. According to John Wawrzaszek, who as manager of Columbia’s recycling program was evaluated on the operations side of things, participants were asked questions such as, “Is your program necessary to retain students on campus?” Wawrzaszek says that in addition to adding to faculty and staff workload with the required in-depth questionnaires, the entire process felt odd. “It seems very underhanded, like someone is on trial and they have to explain why they are not guilty,” he says. The results of the evaluation were included in an internal document called “Blueprint: Prioritization.” Rankings fell into three categories: 1 (Expand the program), 2 (Maintain the program), and 3 (Restructure the program). Operations rankings came out in January and Wawrzaszek’s recycling program received a ranking of 3, which came along with a recommendation to integrate the student-run recycling staff into a contracted janitorial division. “This would double the workload of the janitors, who are already responsible for mopping, trashing and cleaning,” explains Wawrzaszek. And on the academic side, recommendations came down in February. Fiction writing also received a ranking of 3: it was recommended for fiction to merge with poetry and creative nonfiction (currently housed in the English department). And then, not long after this recommendation, Albers received the letter informing him he would be relieved of his current position as chair. Beyond the support for Albers as a person, many in Columbia’s academic community felt that this action overrode the process that the strategic-planning process had promised, that implementation was preceding input from all stakeholders. Albers’ official last day in his current term as chair is May 31, after which he will stay on as a full-time faculty member. Yet leaving his position after sixteen years is not what he would have chosen. “But if they are going to start a new department, and prioritization is going on, it would probably be an opportune moment to make changes if they wanted,” says Albers, diplomatically. But the change seems to be even more upsetting for those who depend on Albers generating a great deal of energy and vision for the department. “Not having a tried and true chair with vision and support will make the transition [to a reorganized creative writing department] more difficult than it needs to be,” McNair says. In similar fashion to the recycling program, fiction writing has been earmarked, and as a result, changes are already occurring that could have impacts people won’t like. “The hard part is that the people they are asking to change, are people who have built the school to where it is now,” says Wawrzaszek. And other departments and programs at Columbia are also feeling the effects of prioritization. On March 5, Howard Reich reported in the Chicago Tribune that the Office of the Provost at CCC has made a preliminary recommendation to close the school’s Chicago Jazz Ensemble (CJE) and Center for Black Music Research (CBMR). CJE Executive Director Kate Dumbleton says that the organization is disappointed with the Provost’s recommendation, and hopes that it will not be upheld. 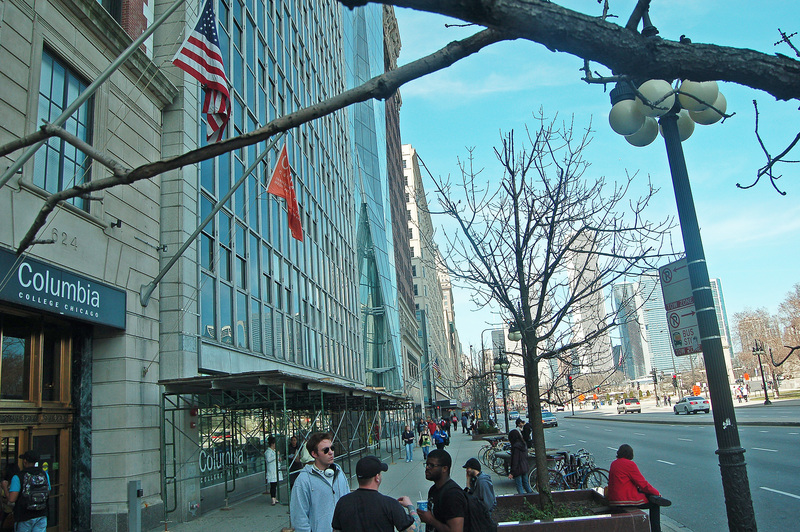 “We feel that closing the CJE would be a loss for the college and Chicago culture,” she says. And like recycling and fiction writing, CJE is doing well financially. In the last eighteen months, Dumbleton says, despite significantly restricted resources, the CJE has hit its stride—aligning artistic and administrative excellence. “The initial successes have directly impacted earned income, audience diversity and satisfaction, and the capacity to develop innovative projects that expand the large jazz ensemble repertoire,” Dumbleton says. CBMR Executive Director Monica Hairston O’Connell declined to comment. In 1978, when Albers was completing his doctorate at the University of Chicago, he took a job teaching at Columbia and never looked back. “I fell in love with the place,” he says. Albers says he happened to be in the right place when the school was growing. Columbia has experienced astonishing growth since the mid-eighties, from a single building serving 1,400 students to a twenty-three-building campus, 120 programs and nearly 12,000 students. That growth has been accompanied by an enviable public-facing profile in the Chicago arts community, from the Dance Center, to the Museum of Contemporary Photography, to the Chicago Jazz Ensemble and the fiction department’s Story Week. “The school has been a very successful experiment over the years,” observes Schultz. 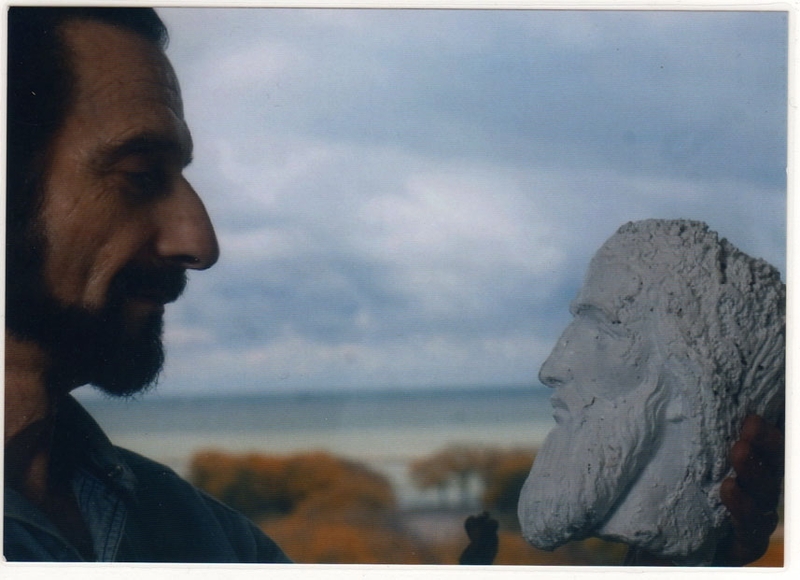 These programs turned CCC’s reputation from comparable to a community college, with open admission, into an increasingly well-regarded arts institution with a growing national reputation. With this prioritization process underway, Columbia’s at risk of dismantling some of those programs that built its reputation at the very same time that other universities in the city are expanding public-facing arts centers, most notable being the University of Chicago (The Reva and David Logan Center for the Arts opens this spring) and Northwestern (Arts Green, the new home of the Bienen School of Music that will also provide space for the School of Communication, is slated to open in the fall of 2015). From the other end, Tribeca Flashpoint Academy, with its two-year immersive digital media program (in contrast to Columbia’s four-year degree program) is posing a challenge. “The world has become corporate-based,” notes Silverstein. “Some people feel strongly that there is a corporate model at Columbia that’s going on throughout the field of education,” he adds. Columbia’s rapid growth had led to a size problem, says Silverstein, where people aren’t able to communicate as freely and openly as they did back in the seventies. Another issue is just plain old dollars and cents. In the aftermath of the recession, student enrollment is down. According to Albers, enrollment was approximately 12,000 before the recession hit, whereas it now falls between 11,400 and 11,500. Is that enough of a difference to make a dent financially, that would cause Columbia to panic? “Enough for a school that is ninety-percent tuition driven,” says Albers. Because Columbia doesn’t have an endowment like the University of Chicago and most other private nonprofit schools do, the college has always been pretty prudent. “In the past thirty-four years, we’ve had lean budgets and managed to do a lot with them,” says Albers. But now things seem to be prudent with a deeply serrated edge. “What’s going on at Columbia is going on throughout the world of higher education,” explains Silverstein. “The cost to manage and run an institution has increased dramatically, and at some point you reach a plateau of what students can actually afford,” he adds. Most students graduate with debt, and it’s not unusual for students to graduate with $20,000 to $30,000 of debt. “You don’t want to increase tuition, well what can you do to make it more efficient?” asks Silverstein. Hence prioritization: the process that determines where to trim the fat to reduce debt and save money. But is the process really fair? Not in the least, says Wawrzaszek. In his opinion, there is a hidden agenda in the prioritization process. More than a year ago, he says, Columbia fired twenty-five faculty and staff members from various departments, and everyone got upset. “In order to avoid that occurring again, there had to be some transparency,” he says. “I believe the specific schools knew what they wanted to do before these reports came out, and this whole thing is a way to push forward an agenda they’ve been wanting to do for a while,” Wawrzaszek concludes. “Using prioritization to save money can be discounted,” states Schultz. Almost every chair in the School of Fine & Performing Arts has been removed, he notes, and Albers is the last one to go. “The motivations [for the decision] are very unclear,” Schultz says. Despite my repeated efforts to speak with Dean Eliza Nichols, and various officials such as Vice President for Academic Affairs/Interim Provost Louise Love, I’m unable to procure any information or interviews. I have still not heard back from Vice President of Public Relations Diane Doyne at press time. Nichols told The Columbia Chronicle that the decision not to renew Albers was not related to the prioritization process. “It just happened to be that his term came up this year,” she said. Albers tells me that he’s actually been pushing for the merger between fiction, creative nonfiction and poetry for sixteen years, but is disappointed that he won’t be leading the effort. “It [the recommendation for reorganization] didn’t totally come out of left field, because we’ve had a good track record,” says Albers. “Fiction writing is one of the largest creative-writing programs in the country,” he notes. “Because we have so little use of technology, we’ve always been a money maker for the school, and our method of teaching engages all voices of society, which is still a problem for many institutions,” observes Schultz. 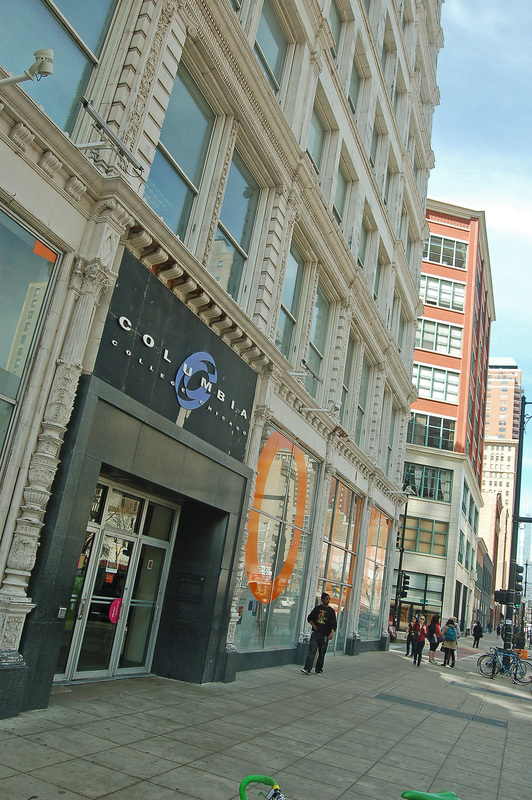 Beyond Albers, the recent changes occurring at Columbia College Chicago point to a crisis in higher education. “Columbia was founded on the idea being that if people are doing what they love, then the money will come,” explains Silverstein. But in the aftermath of the recession, the theme is changing. Prioritization and relieving chairs of their positions without saying why reflects an increasing corporate mentality. “If you put the priority on money, then the concern will be that it will turn the college into something else other than students doing what they love and doing it with teachers that are doing what they love,” says Silverstein. 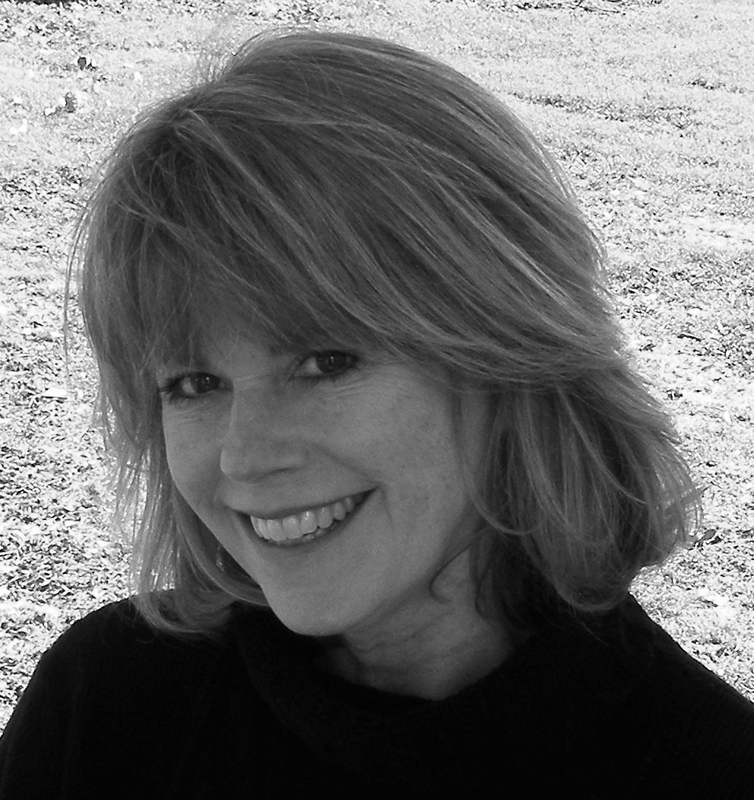 Story Week Festival of Writers runs March 18-23, colum.edu/storyweek. Newcity editor Brian Hieggelke is reading as part of the “Chicago Classics” event on March 23.